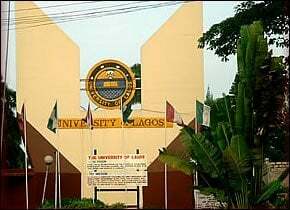 The management of the University of Lagos (UNILAG) released an important notice to all students of Faculty of Arts regarding the change in some GST papers. GST 102 EXAMINATION WILL HOLD ON FRIDAY, JUNE 27, 2014 AT 8 A.M. IN LG LAB, FACULTY OF ENGINEERING. GST 105 EXAMINATION FOR 100 LEVEL STUDENTS STUDYING CHINESE IN THE DEPARTMENT OF LINGUISTIC, AFRICAN AND ASIAN STUDIES WILL HOLD ON FRIDAY, JUNE 27, 2014 AT 12 NOON IN LG LAB, FACULTY OF ENGINEERING. GST 102, 105, 201 AND 307 EXAMINATIONS FOR I.C.E. (EVENING) STUDENTS OF THE FACULTY WILL HOLD ON SATURDAY, JUNE 28, 2014 AT 12 NOON AT CITS. @ James moses olawunmi, the school doesn’t have a running website yet.